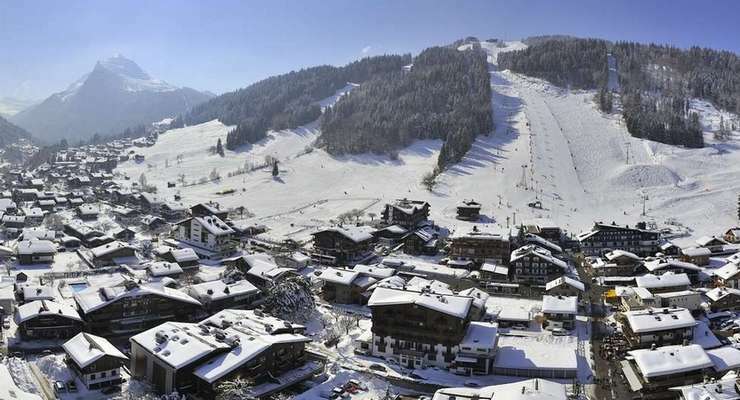 Morzine, France – A British/French-run ski school in the Alpine resort of Morzine now blends a holiday on the snow with a chance to improve your French language skills. The recent re-branding of French Alpine School (formally Lost in Translation) has also seen a move to a centrally located location in the heart of Morzine, opposite the resort’s tourist office. With the introduction of new accommodation for the 2015-16 winter season, including a four-star catered chalet, Alpine French School has now established itself as a leading center for French language in the Alps. The format is simple, effective and fun. Students combine ski vacations with French lessons, skiing most of the day with classroom language sessions following in the late afternoon. Partnering with the ESF (Ecole du Ski Francais) to provide on-slope learning, the pupils enjoy ski lessons in French and then take their language classes afterwards. Ski lessons are optional for those who have already refined their skiing skills, but they can also offer French conversation on the lifts and on the slopes. The traditional Savoyard town of Morzine is a one-hour drive from Geneva Airport and the largest base providing direct access to the Portes du Soleil ski area, one of the world’s largest, spanning an inter-connected ski lift system that stretches into neighboring Switzerland. Alpine French School arranges the entire package that includes accommodation, ski lift passes, airport transfers and ski lessons. Courses last anywhere between one week and a whole 16-week season. “We find a real variety of people travel to Morzine and stay with us; everyone from students to families who’d like to improve their French and holiday in the fantastic surroundings of the French Alps, both in summer and winter,” says founder Helen Watts. New this winter, there’s the brand new four-star Guytaune chalet that comes with its own French chef as part of the package. Guytaune is just one component in a varied portfolio of accommodation options that include self-catered, B&B, family hosted and hotel choices. Prices begin at €995 during the January low season and include three hours of language learning per day, champagne and canapés upon arrival, accommodation in chalet Guytaune including full breakfast, afternoon tea and a four-course meal each night with complimentary wine. French conversation takes place over apéritifs and dinner, and a concierge service is available to arrange any extras guests wish to add to their holiday including airport transfers, restaurant bookings, activity bookings, massage, spa and childcare service. For more information, visit alpinefrenchschool.com or call +33 (0) 4 50 79 08 38.